If you need immediate assistance after a rental car accident, car accident lawyer David Azizi and team are standing by 24/7 to provide you with a free no-obligation review of your important case when you call 800-991-5292. The last thing you need after a car accident is a surprise. But, they happen. One big surprise occurs when you go to rent a car until yours is fixed or, if totaled, a settlement is reached. After you pick out the vehicle you want to rent, hearing the desk clerk ask which credit card you intend to use may be unexpected. Let’s look at what you need to do ahead of time to make sure the cost of a rental is covered by insurance. Does Insurance Cover Rental Car After Accident? Immediately after a car accident and after you called the police and an ambulance if needed, you need to talk to your attorney. While most of us don’t have an attorney on retainer, the wiser among us do some research to find someone you can trust ahead of time. You can write down their name and number, and tuck it into the car’s glove compartment or your wallet, or better yet, look for a cell phone app. If you’ve found David Azizi, you already downloaded his free app that gives you a checklist of things to do after the crash as well as his contact information. David has practiced personal injury law in Los Angeles for 21 years and has the respect of his clients and the legal community. 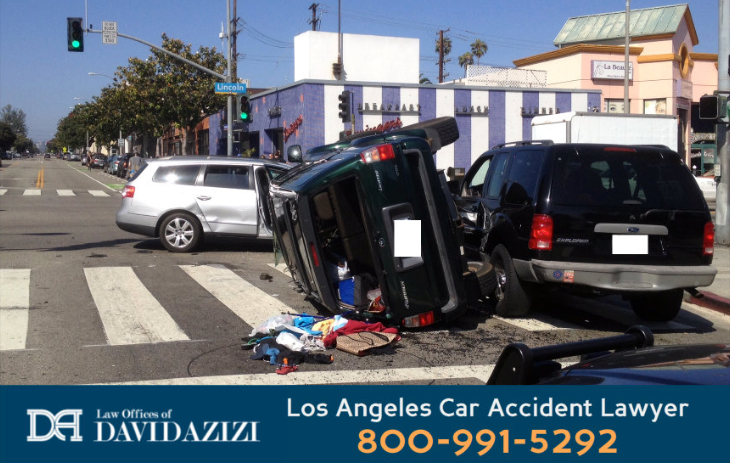 In fact, Expertise.com has called him one of the top personal injury lawyers in all Los Angeles. Make sure you write down where you can contact him. You will be glad you did. 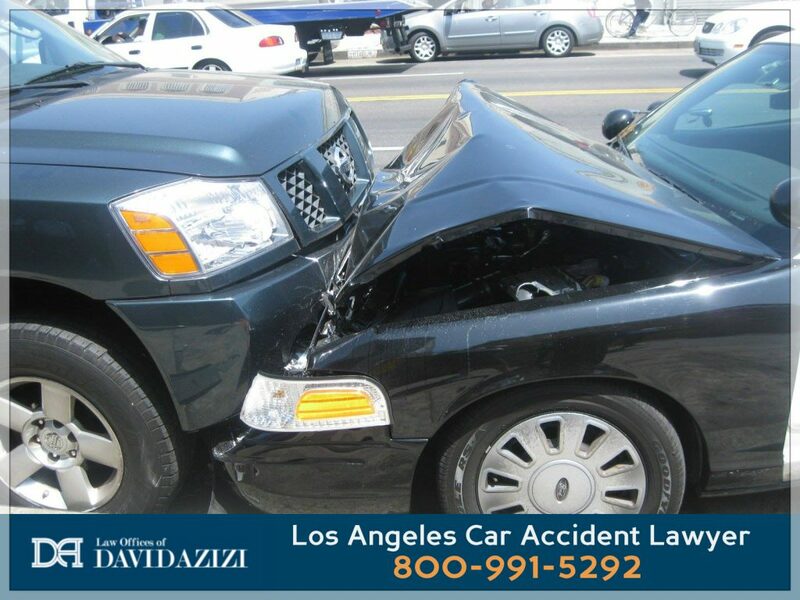 The Biggest Mistake You Can Make after a Car AccidentLaw Offices of David Azizi (Los Angeles, Beverly Hills, and Riverside) Call 24/7 for a free consultation: 1.800.991.5292 Or visit https://davidazizipersonalinjury.com Many people make this critical mistake after a car, truck, or other auto accident. This depends largely on who was at fault for the accident. If the other driver’s negligence caused the crash, either he or his insurance company is required to pay for the rental vehicle. This is the best option since it will not have any effect on the not-at-fault driver’s premiums. However, there might be a delay in coverage, and this complicates the matter. For instance, the insurer may not want to admit liability. This happens when they cannot get in touch with their client, or the client refuses to accept responsibility. Contact their own insurance to see if they have rental reimbursement as part of their own policy. If the coverage exists, the insurance will pay for the rental. After the case is settled, the insurer will arrange to be reimbursed by the at-fault driver’s carrier. You may have to pay a deductible. If this happens, even the deductible can be recouped from the at-fault driver’s insurance. The driver cannot add rental reimbursement coverage after the accident happens. Rental reimbursement is listed as the per day amount you can spend and a total of what you can spend. For instance, at $25 per day with a $750 total, you can be reimbursed for 30 days. The accident victim can pay for the rental themselves and hope to be reimbursed when the at-fault driver’s carrier pays for the accident damages. This is the expensive option. The cost of a rental vehicle for the time it takes to fix the damaged vehicle or obtain a new one is out-of-pocket until the negligent driver’s insurer decides to pay. After that, it can take anywhere from two to four weeks to be reimbursed. When the vehicle is totaled, the insurance company may pay for the rental. However, they are not obligated to do it. Again, if the claim is with the driver’s own insurance, the rental coverage is guaranteed only if rental reimbursement is part of the driver’s policy. Make sure you have contact and insurance information from the at-fault driver. Obtain the police report. This adds substance to your claim. Make sure to document the precise way the crash happened. Take photos at the accident scene. You can contact the at-fault driver’s insurance to let them know what happened, and start the claim process. What Happens In a Rental Car Accident With No Insurance? This is not the best place to be unless the non-negligent driver has uninsured motorist protection. In California, the insurance companies must offer uninsured motorist protection, but it is not mandatory for drivers to purchase it. So, not everyone has this option. If you do, then the rental should be covered. What Sort of Rental Car Should Be Chosen? The rental car should match the type of car or pickup that was damaged. For instance, if the damaged vehicle was a mid-size sedan, then the rental should be a mid-size sedan. This is called reasonable rental expenses. How Long Can the Rental Car Be Kept? The rental car can be kept for as long as you need to wait for the at-fault carrier to pay for the damages. Once the case is settled, you can keep the vehicle until the damaged vehicle is operational again or until you are able to replace it if it was totaled. Some insurance companies will terminate coverage as soon as the settlement is made. Can an Insurance Company Tell You Where to Rent a Car? Insurance companies will have preferred providers. The rental company in this case will provide discounts to people insured by the company. In addition, the rental company will bill the insurer directly instead of the insured. However, the driver is not obligated to use the preferred provider. When you rent a car, if you are paying out of pocket, you are asked if you want to obtain rental car insurance. Many people decline it with the understanding that they are covered under their own insurance. In this case, the driver’s own insurance will cover them if they cause an accident. This extends only to the limits of their policy. However, not all insurance companies cover a rental car, and if a driver does not have collision and comprehensive, they may not be covered. Special rental car coverage would need to be in effect. The insurance sold by the rental car company does provide coverage but may increase the cost of a rental vehicle by double. Rental car companies in the state of California do not provide liability insurance in the basic rental agreement. However, the renter should be covered by their own insurance policy. If they do not carry the state-mandated liability insurance, they must purchase it from the rental company. Under California Civil Code 1936, the renter is covered for theft and vandalism as part of the theft, providing the renter has operated the vehicle with expected, ordinary care. The renter is also covered for vandalism apart from the theft. In this case, a deductible of $500 is applied. In other cases, such as theft and vandalism, if the car’s operator has not acted in a prudent manner, it is not covered. If the renter does not carry insurance that will cover these items, then it is necessary to buy coverage through the car rental company or a private company. Credit card companies usually offer a type of insurance that will cover damage to the rental vehicle and for the vehicle’s theft. Some do have extended coverage of a rental car. It is a good idea to get in touch with the card company to see exactly what their insurance covers. In some cases, the card will pay after the insurance company does. After a car accident, David will help you with everything, including advice about rental cars. If the other driver’s insurer is delaying making a decision or if you don’t carry insurance that will pay for the rental car, you should be able to demand that the rental is covered. Without the services of an experienced attorney, this may be difficult. Call David as soon as possible so that you will have someone advocating for your needs. You can reach us at 800-991-5292.